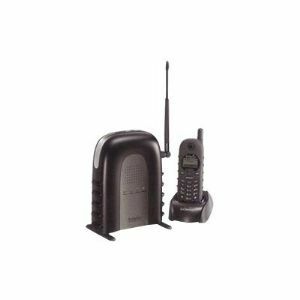 The DuraFon Industrial Cordless Phone System with 2-Way Radio is a telephone as well as a full-duplex two-way radio independent of the base unit. Featuring a broadcast two-way and speakerphone capability, this unit can use up to four lines and up to nine handsets giving your customers a wide range of options. With six hours of talk time and 50 hours stand-by time, the DuraFon1X offers an optional external antenna for indoor and outdoor use. MICRO CHANNEL MANT INC logos are registered trademarks of MICRO CHANNEL MANT INC. All others trademarks and copyrights mentioned herein are the property of their respective owners.